Mise en Scene. It’s a fancy looking phrase that you’ve seen floating around many film-related articles. It creates an immediate sense of film wisdom. But what is Mise en Scene? Why does it matter? And who knows how to best use it? After today you’ll have a better sense of this technique. And why you should never ignore it. What is Mise en Scene? Translated from French, the Mise en Scene means “the arrangement of scenery and stage properties in a play." In cinema, it comes to refer to everything in front of the camera. It includes composition, set design, lighting, and actors. Mise en Scene is how it all comes together; the act of bringing it all together. Yet there’s no denying the importance of Mise en Scene in film. When properly used, it elevates film from a series moving pictures to an art form with purpose. Something bursting with atmosphere and emotion that pulls viewers in and doesn’t let go. If you ever watched a movie and wanted to jump inside, that was probably a result of Mise en Scene. It’s always helpful to watch another filmmaker to better hone your own directing chops. You'll gain inspiration by seeing how they master certain techniques. To best explain how to use Mise en Scene, let's take a modern director who is a master of the craft, and has truly created his own signature style. 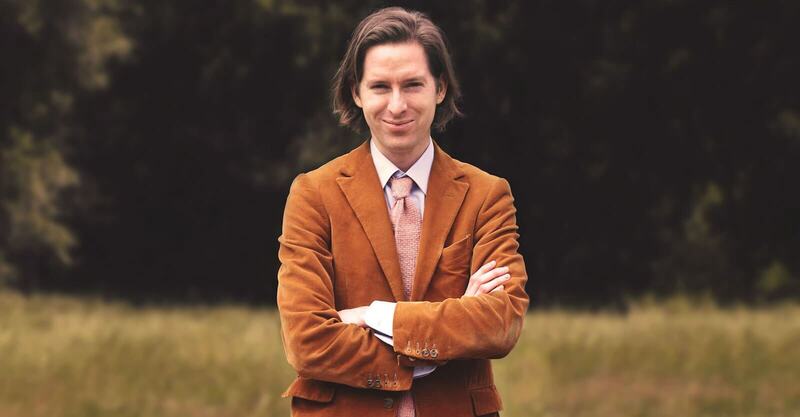 This is, of course, the Wizard of Whimsy himself: Wes Anderson. The Wizard of Whimsy in one of his favorite places; the center of the frame. From his early film Bottle Rocket to the recent Isle of Dogs Wes Anderson has consistently been a top notch world builder. This is largely due to the director’s unique method visual storytelling. There is an unmistakable Wes Anderson style in all his work. Precise detail and shot composition, absurd characters and vivid use of color. A movie as specific as one from Stanley Kubrick yet as light as a Rom-Com shouldn’t exist. Yet it does, because of Wes Anderson personal approach. Time to dig in! Let's talk about the major Mise en Scene elements. Then we’ll discuss how Wes Anderson uses them to make movies so original they can best be described as, well: Wes Anderson-y. The most obvious part of a Wes Anderson films is his use of composition. Composition, in film terms, is how everything in the frame is organized. Where does he place the characters and objects? What does he choose not to show? It's a daunting task with many options. Film is a visual medium, and it’s important to make sure everything in frame, no matter the genre, is visually engaging. Composition walks hand in hand with Cinematography, which involves lens types, camera movement, but also identifying all your options in terms of shots and angles. Being aware of what’s in the frame, and then choosing how to shoot it, is how you control your film’s look. This is something you don’t want to improvise. It helps to start any project with a list of tips on producing the best Composition and Cinematography Techniques. The more you’ve prepared, the easier it will be to identify and attain all your visual goals. Even someone who has never seen a film would recognize one key aspect of Wes Anderson’s Composition: symmetry. Equipped with larger budgets and advanced digital effects, modern films tend to be bigger and flashier than the older flicks. They also use a great deal of camera movement, but Wes Anderson is pretty fond of the good old tripod. This creates a strange effect. Instead of feeling like roller coaster rides, Wes Anderson films feel like dollhouses. Everything is perfectly set up and staged. Audiences are invited to explore every crevice of the film. Every background object and foreground facial feature is there for us to discover. It’s like we’re curious little detectives. There’s something about that which helps all of Wes Anderson's movies stay unique. The term more or less explains itself. Set design is everything physically on set used to create a mood or time period. It’s the wardrobe of the film. By working with the Production Designer, the director uses the set design to create the world of the scene. 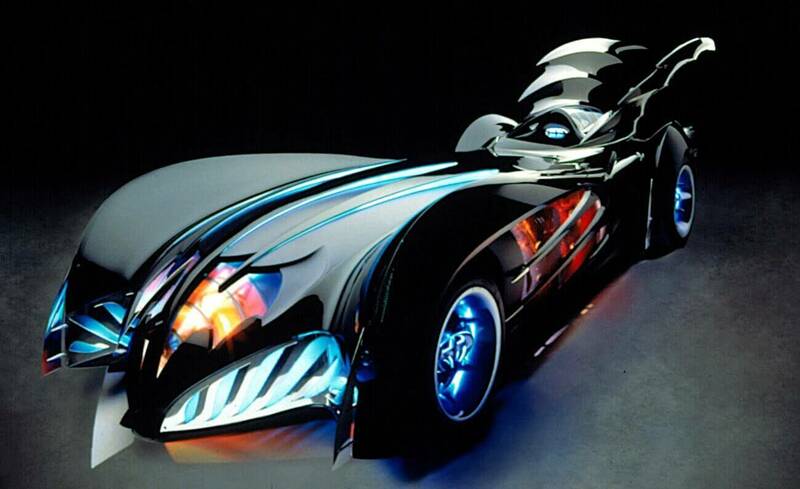 This includes not just larger elements, like rooms, stages and the Batmobile, but smaller ones as well. Props, even ones as tiny as pens, can add much to any given shot. If your movie takes place in the past, simple objects like rotary phones can convey the time period to the audience. If it takes place in the future, your set design would need to depict how advanced, or how set back, the world has become. In keeping with the dollhouse metaphor, Anderson’s set design depicts how detailed his characters are. Every shot of a desk is covered with perfectly staged objects. Every bedroom acts as a physical representation of the person who lives in it. The Royal Tenenbaums does this very well. When introduced to the three Tenenbaum children, we don't need the narration to know what these kids are all about. The Athlete has his tennis equipment. The writer has her library..
Set design is a key factor of Mise en Scene throughout any film, but it can have a lot of impact on an opening sequence. An iconic opening sequence can immediately get the viewer invested. And with the right set, you can establish early on what kind of experience they are in for. Don’t forget to consider the formatting for end credits too. Every minute of your film matters when it comes to Mise en Scene. We’ll end this section on the added layer of anachronisms. One example of an anachronism would be anything that belongs in a different time period than the one it’s currently in. Like Adidas sneakers in the 1600’s would be one example of it. When used properly, this can bring a whole new layer of depth to the film’s world. Outdated objects can show how certain characters are trapped in the past, like the characters in Anderson’s The Royal Tenenbaums or Rushmore. Object like that can also make a movie seem like it’s in multiple decades at the same time, as if it exists in its own universe. Some Tarantino films manage to pull this off expertly. When crafting your shot, consider the characters and world at large, and how set design can reflect that. The intensity, depth, and angle of your lighting can all greatly affect the mood of a scene. The key thing to remember is that lighting is emotional. It depicts a character or situation as joyful or desperate... relaxed or dramatic. Soft Lighting keeps things even and cuts shadows. Gels and different lenses can further soften the lighting. This technique makes the emotion of a scene, whether it’s happy or sad, come across gently. Harsh Lighting, as you’d expect, is the opposite. This technique creates shadows. Harsh portions of light and pools of darkness show up. This lighting can display fear, confusion and a sense of mystery. It’s no surprise that horror flicks and thrillers employ harsh lighting in their cinematography. Other than harsh or soft lighting there are various angles and geometry of lighting that affect the scene. These tips go into more depth explaining which lighting one might use for a certain scene. The Grand Budapest Hotel is vibrant and fun for most of its runtime, and so its lighting is soft and warm. Yet Anderson’s script calls for scenes of violence, and so he adjusts the lighting to match it. There is a chase scene at the end of which a character is murdered, and the entire scene is shot in shadow. 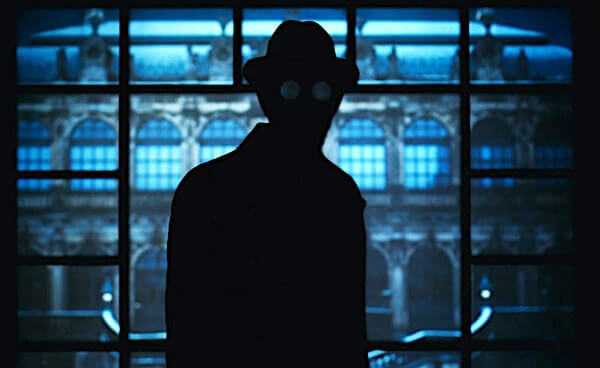 When there is light, it’s harsh lighting, flashing briefly on a pair of glasses or a face. Probably the scariest Jeff Goldblum moment since The Fly. Anderson could have kept the lighting consistent so the audience never lost that warm, tweed-jacket-by-a-fireplace feeling. The chase sequence would have then worked as a farce. Instead, Anderson altered it dramatically to create new tension and ultimately shock us. From that point on, we understand that the characters are in real danger. It brings a whole new level of stakes to the drama. Variety is the spice of filmmaking. It’s key to know when to change the lighting. The last element of Mise en Scene we’ll cover is acting. This, of course, refers to the actors’ performances. Are they subtle or dramatic? How does a character deliver a certain line or speech? The first step here is having a good cast. As the old saying goes, "90% of directing is done in the casting." A performance makes or breaks a film. There are great tips on how a filmmaker with a small budget goes about casting the right actor for the right part. Directing actors in terms of Mise en Scene also refers to the actors’ placement in each scene. Which is also called blocking. How many are in the frame? How are they arranged as a group? These are the questions to ask yourself when looking at the frame. One of the most common decisions for a director is how to frame Shot-Reverse-Shot. This is when a movie cuts back and forth between two characters talking to each other. A filmmaker might keep both the speaker, a bit of the person they are speaking to, in frame. This makes it clear who is in the conversation. The Coen Brothers go a different route. They often use a Wide Angle Lens and show only the speaker. 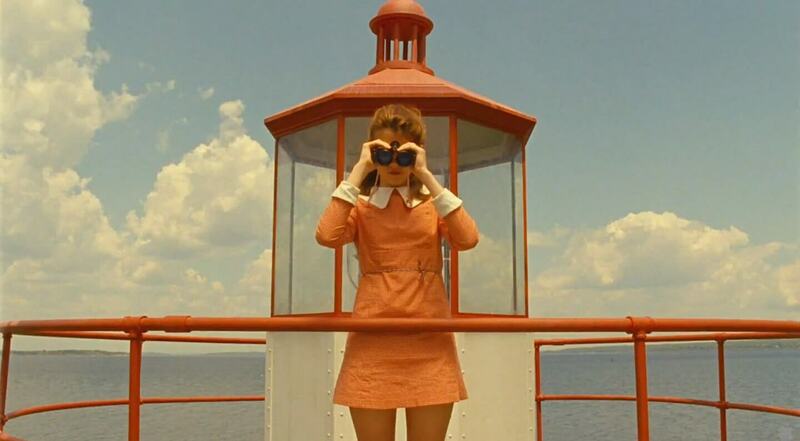 Wes Anderson films, known for their symmetrical shots, often contain yet another option. Actors, whether talking to each other or striking a quirky pose, frequently get the frame to themselves and stare straight into the camera. This is not to say he doesn’t try new things every now and then. 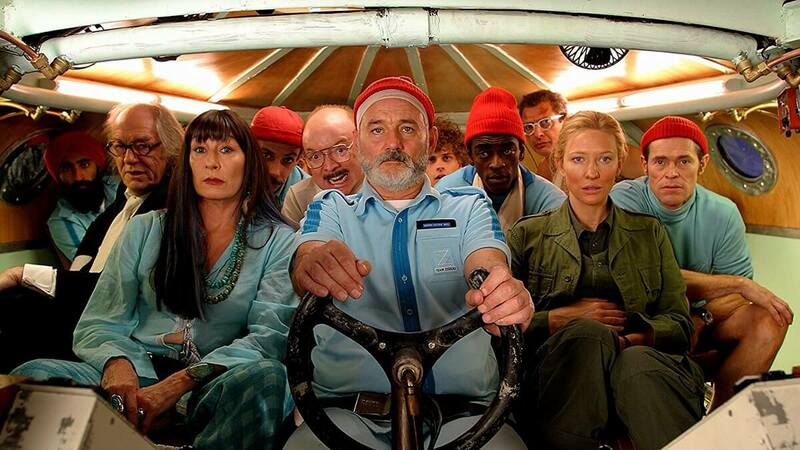 In his films The Royal Tenenbaums and The Life Aquatic, there are much larger casts. In The Royal Tenenbaums, the character Margot is the sullen outcast. In almost every shot with a group of people she stands all way in the back or off to the side. In Life Aquatic, all the characters share a small submarine together at the film’s climax. Where they sit depends on how close they are emotionally to the main character in the center. This may have just been everyone trying to sit as close to Bill Murray as possible. There are too many possibilities to count. Actors standing versus sitting brings a certain level of confidence. Actors smaller in view makes them appear weak. Blocking can have a huge, if also subtle, emotional effect on an audience. Mise en Scene is how a filmmaker brings all the elements together to create a total experience for the audience. Wes Anderson is a master of this skill. Create a shot list and storyboard to better prepare for a shoot. This process can help you free up time on set to find new things, and can ensure that you also get exactly what you need. Keep practicing, but also keep studying the filmmakers you love to get all the tips and techniques you can.